However, the last decade has brought a dramatic increase in visitors to the area — up more than 85 percent from 2006 — with surrounding communities adjusting to the influx through increased accommodations, dining spots, events, recreational improvements and artistic ventures. While Reynolds said its hard to peg the growth on anything in particular, she said she believes the internet and social media have played a significant role. The collaboration between local entities is also one of the area’s strengths, she said, adding to its appeal. 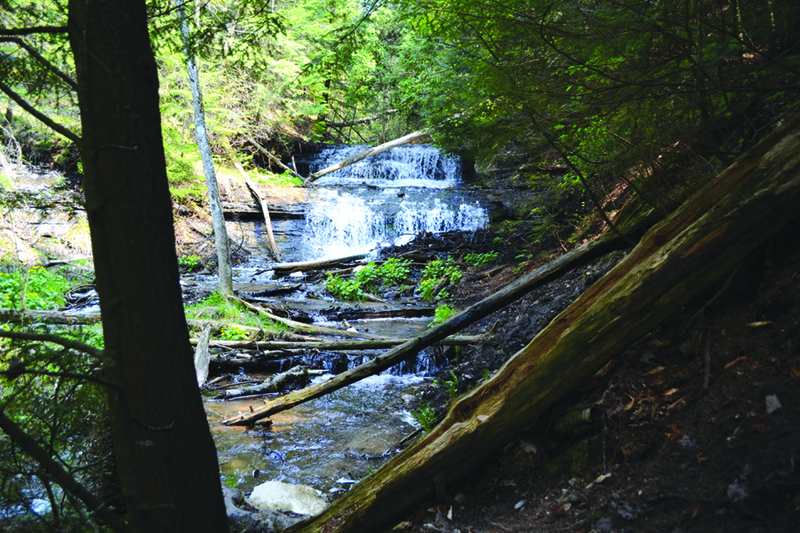 While people are often drawn to the area for its picturesque cliffs, hundreds of miles of hiking trails and countless other opportunities for water and outdoor recreation, Reynolds said there are many other things to love about Munising and Alger County. 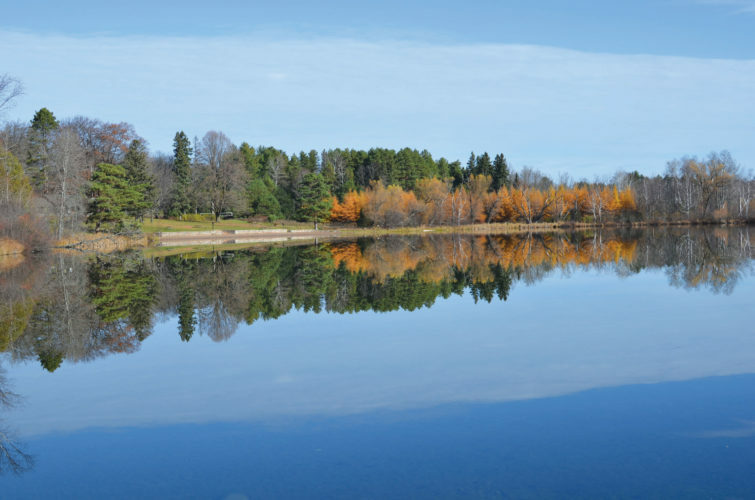 Munising was recently selected to participate in the Detroit Institute of the Arts Inside/Out program, which brings high-quality reproductions from the museum’s collection to outdoor venues throughout the state. The institute erected 15 works, both free standing and wall-mounted, throughout the city last week. The works create a walkable gallery, said Reynolds, starting near the Munising Harbor dock and moving up into the downtown area before looping back around. It takes about an hour to complete by foot, she said. Another exciting development, said Reynolds, is the Pictured Rocks Interpretive Center, slated to open to the public within the next few weeks. 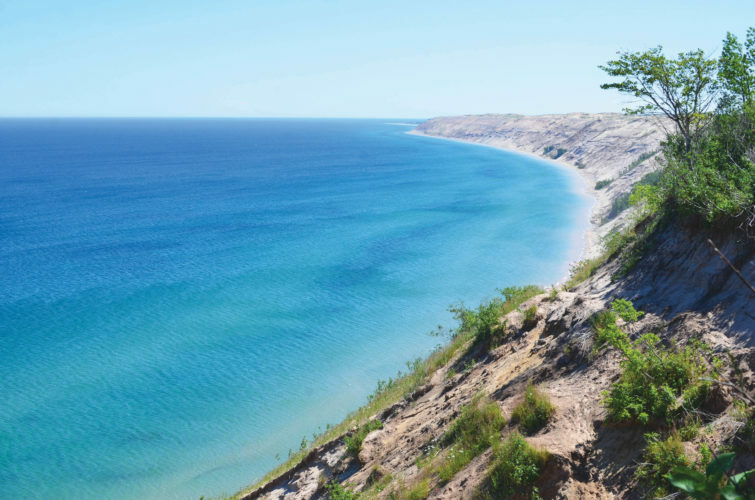 The center, located in the old city hall building, will be home to interpretive displays featuring information on the Pictured Rocks National Lakeshore and also detailing the area’s rich history. Pictured Rocks Cruises will also have a retail space on the main floor of the building, in addition to their primary location in the harbor, Reynolds said. There is space for two other retailers on the bottom floor overlooking the water, as well as private office spaces on the third floor. The rehabilitation project was funded by a Michigan Economic Development Corporation Community Development Block Grant, she said. For those seeking an extended stay, the area boasts a wide variety of lodging options. Reynolds said there are several hotels, countless vacation rentals and more 800 campsites throughout Alger County. New to the area is the 18-room boutique hotel, Roam Inn, which opened its doors last fall. Dolaskie said he lived out of the area for a while — in both Manhattan and Beverly Hills — but had the urge to return home. 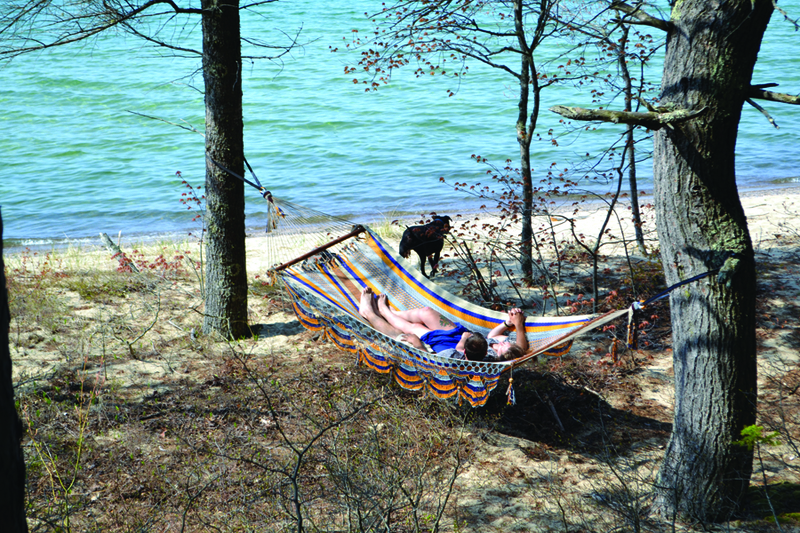 Operating on the tagline “adventure awaits,” Dolaskie said staff at the Roam Inn works to promote outdoor recreation, offering advice and tips to maximize their guests’ stay. Also inside the Roam Inn is Tracey’s restaurant, which Dolaskie described as “casual fine dining,” utilizing locally sourced ingredients including U.P.-raised bison, beef, lamb, chicken and pork. For a more casual lunchtime outing, Johnny Dogs, 106 Lynn St., is a staple spot in Munising. 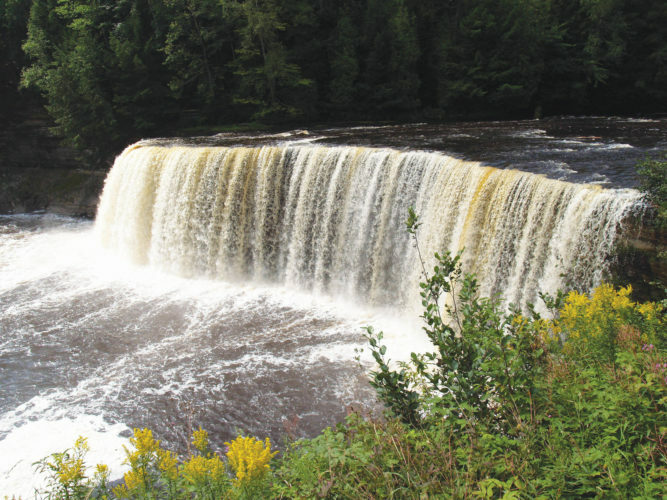 Located along the south shore of Lake Superior just 42 miles east of Marquette, Munising can be reached via M-28 from the southeast and west, M-94 from the west or Alger County Highway 58 from the east. 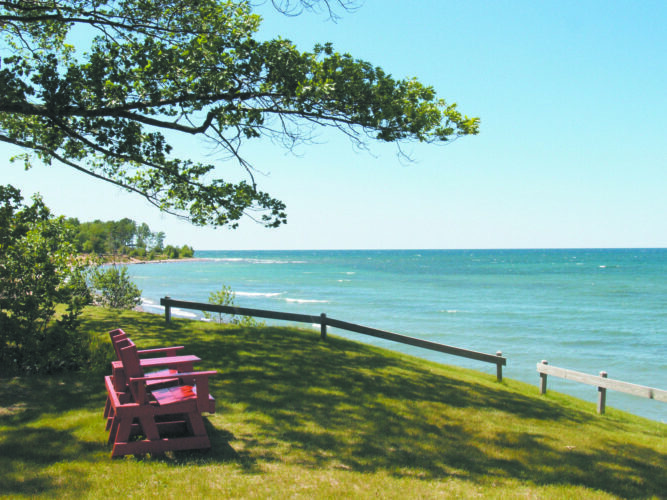 If traveling from the Marquette area, there are several other attractions that can be found along M-28. In Christmas, visitors can test their luck at the Kewadin Casino, operated by the Sault Ste. Marie Tribe of Chippewa Indians. 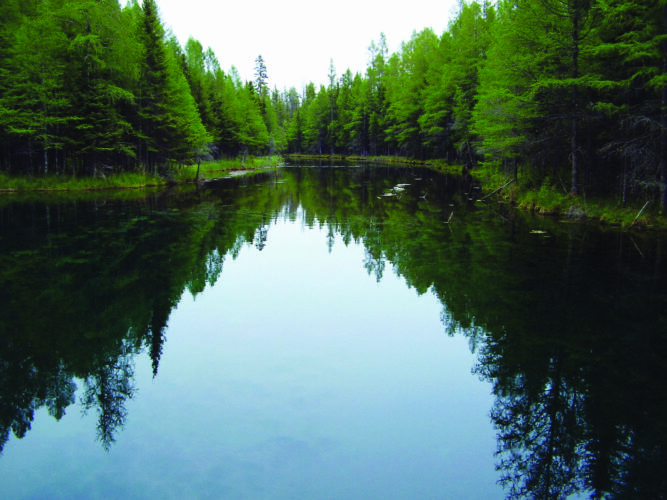 During the summer months, canoers and kayakers take the AuTrain river by storm, with rentals available through Northwoods Canoe and Kayak Rentals. 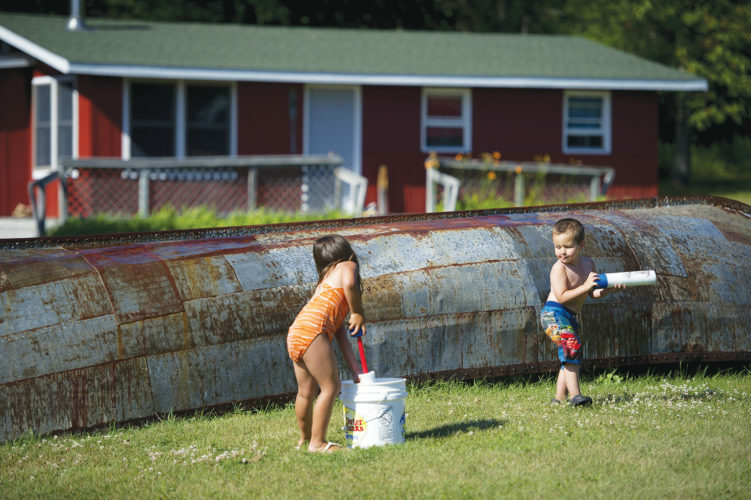 Campsites and rental cabins line the riverbanks, making for a fun overnight excursion. Grab a bite to eat at the highly rated Brownstone Inn or Foggy’s Steakhouse, both located in the M-28 corridor.